With friends and family along for the ride, Tebow, a professional athlete and sports analyst, and Nel-Peters took flight on Dumbo at Magic Kingdom Park and stopped in front of Cinderella Castle to meet another pair of lovebirds, Cinderella and Prince Charming. It was the first visit to Walt Disney World for Nel-Peters, a native of South Africa. 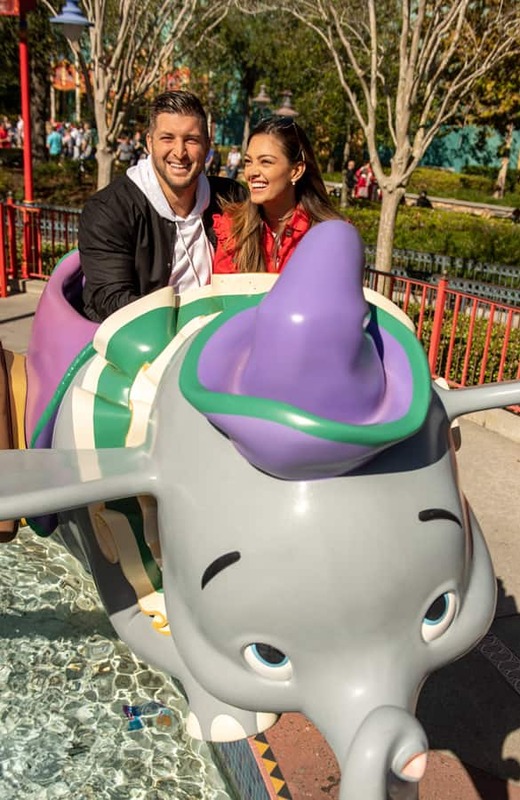 Vía https://disneyparks.disney.go.com/blog/2019/01/tim-tebow-and-fiance-demi-leigh-nel-peters-celebrate-their-engagement-at-walt-disney-world-resort/ ʕ ᴖᴥᴖʔ Subscribe to me here on Youtube for more fun!